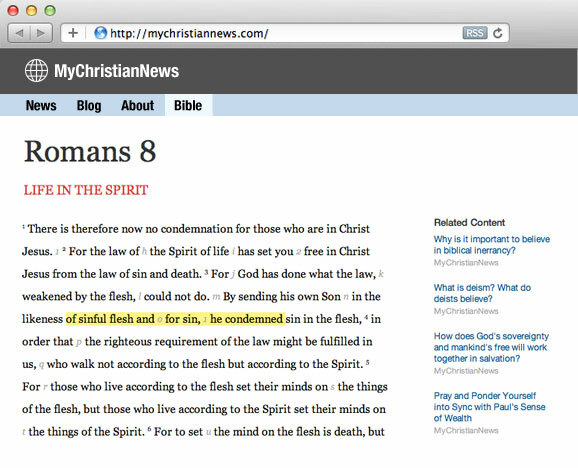 The entire power of eBible on your site, including reading plans, highlighting and your articles as cross references. Your site, your Bible Put the entire eBible experience on your website. Increase page views and user engagement. Full power of eBible Everything about eBible is available on your site, including highlighting, notes and reading plans. Users discover more of your content. Your articles, videos and sermons related to this scripture are shown here. go to your Bible on your website. Create a custom reading plan or daily devotional for your church and followers. You can also use any of our handcrafted plans, for free.